A nonprofit's board of directors is the agency's managing group. The board of directors are responsible for the nonprofit's decisions -- such as how to spend grant money -- and must follow the bylaws, the nonprofit's internal rules. A person or organization can sue the board of directors. For example, one or more directors can sue the rest of the board, as well as past and present staff members. A person the nonprofit has helped, donors, members of an organization associated with the nonprofit and another party the nonprofit injured, such as an unpaid vendor, can also sue. Since a nonprofit is a type of corporation, its directors have limited personal liability for debt the nonprofit incurs because of a lawsuit award. Gather all evidence. For example, possible evidence for a vendor who wasn't paid is the original sale contract, proof of any money the vendor received from the nonprofit and emails or letters from the nonprofit regarding the sale. Talk to people who witnessed the board's actions or have firsthand knowledge. Confirm the witnesses have information that supports the case. Make a list of witnesses. Go to the official website of the state judiciary system to determine in what court you must file. You usually need to file in the civil trial court, but rules vary by jurisdiction. Go to the court in person. Bring copies of the evidence and the witness list. Ask for the forms needed to file a compliant — the paper that states your case and starts the lawsuit — a copy of the court rules and a fee schedule. Read the court rules to find out what you must do. Follow the rules and file the complaint and supporting papers to start the case. 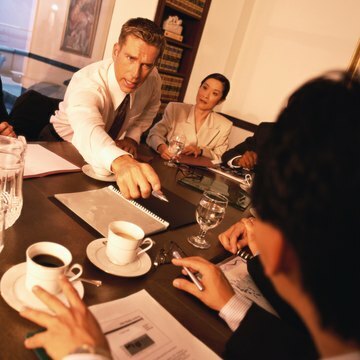 Nonprofit Risk Management Center: Who can Sue a Nonprofit Board? What Court Do You Go to for a Breach of Contract? Determining which court is appropriate for your contract action requires an understanding of jurisdiction. A court can only hear a case if it has jurisdiction over the person sued and the subject matter of the case. Even then, the defendant may be able to get the case transferred if another court is more convenient to the witnesses. How Can a Corporation Bring a Suit?